On Mondays, you can expect some bocce strategic jibber-jabber here at the American Bocce Blog. Now, I’m not a professional bocce ball player, but I can look most people in the eye and confidently state that I’m around bocce more than they are. And that’s basically how I introduce myself. I shake your hand and say, “Hi, I’m Matt David and I’m around the game of bocce way more than you.” Expressing this engenders just the right amount of jealousy which leads to a desire to be around me as much as possible. I can’t meet everyone, but I can write a bocce strategy guide and share it. And here we are, the first installment of American Bocce Strategy: Tricks, Tips and Nips. This installment is not about strategy, per se, but is instead a description of the new and improved statistics system that we are implementing as American Bocce Company. Hopefully, informing you what we feel is worth tracking about a bocce player can help you think about your game in a different light. 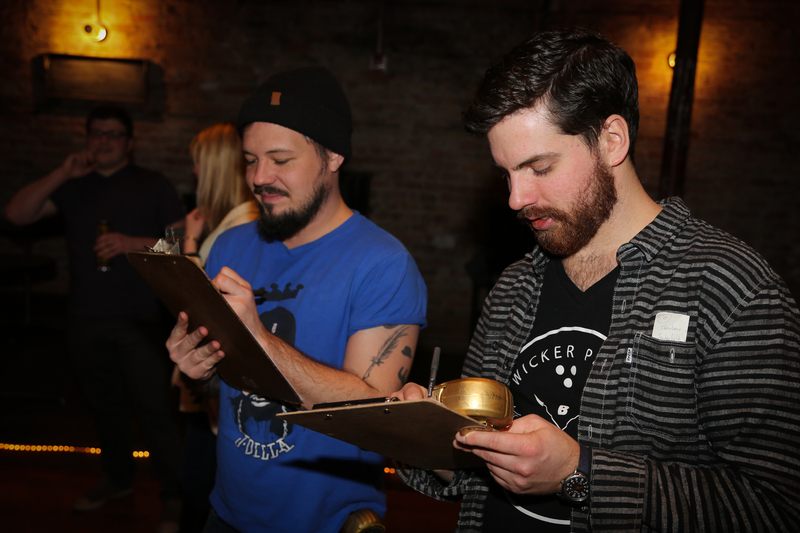 We knew the system that we had in place as Wicker Park Bocce Club was short of perfect. It had a lot of the right pieces in place, but the puzzle wasn’t fitting together in a way that properly reflected who the top performers were in our leagues. 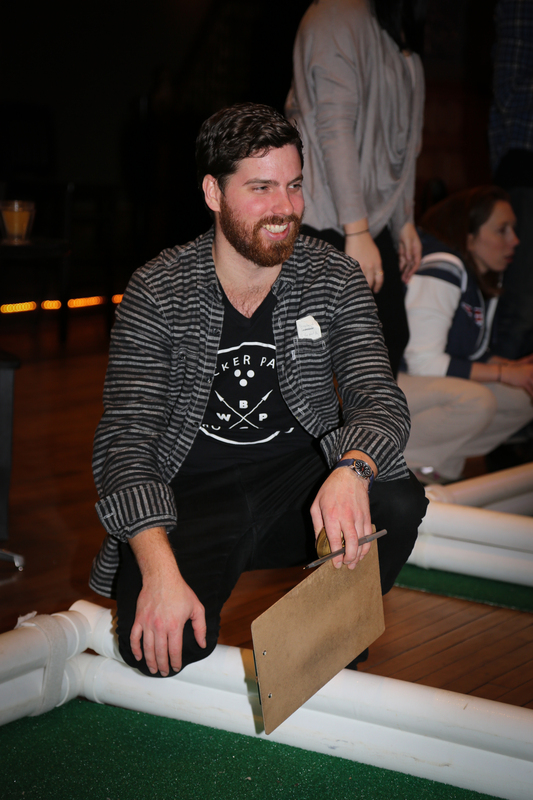 As we transitioned into American Bocce Co. and prepared to launch leagues nationwide, we took the time to pull apart our previous system and refine it to the point where it accurately reflects who makes the biggest difference in whether their team gets a win or not. There will remain a certain air of mystery around how we put it all together, but I’ll pull the curtain back just enough to get a sense of how we assess your performance. First, the categories we are stat-ing out during the game for each player are as follows: ball-in, bocce, halo, off the board, bust and casino. We also track the number of frames that each side throws and who wins the game. Some of these terms are super easy to describe, others are a little more involved. I’ll provide a glossary below as a reference and get to the two big changes we’ve made with the new system. It’s hard to say which is the more influential change, so there’s no “first and foremost” or order of importance here. Change one: get our data collected down to the frames played level as opposed to the games played level. A player should not be penalized for winning a game quickly, but that’s how it went down when we only accounted for total stats collected. Our solution has been to track frames played which allows us to get a Frame Efficiency Rating (FER) which we then multiply by the average number of frames played in an ABC game (5) to get our Game Efficiency Rating (GER). We can then use cumulative GER divided by games played to get to the Player Efficiency Rating (PER), that has become the de facto way of sorting the top players from the rest. Change two: A ball-in is a ball-in until the other team beats it. Before, a ball thrown “in” would only mark once. Now, it can mark up to four times. So, if Player One throws a ball four inches from the pallino and the other team never beats it, Player One gets four balls-in for that one throw. A ball can only accrue additional marks for being “in” when the other team is throwing against it. After that, a ball thrown “in” will only receive one tally. If Player One’s first ball is never beaten and then Player One and Player Two combine for a casino, then the end of the frame ball-in tallies would be five for Player One and two for Player Two. Yes, this gives the player that throws first a statistical advantage. To that we say, it’s a demonstration of skill. If Player Two wants their own shot at five points, then rotate the first thrower. Just remember, stats are good, but wins are king. There are some other, lesser changes that I’ll clue you in on, too. We’ve moved from only counting a thrown bocce ball that is “kissing” the pallino to one that is thrown within a “halo” of the pallino (roughly the width of two fingers). Also, we’ve gone from punishing the subjective “hot shots” to the objective bocce ball off the board. Whether it was thrown short, long or without a drink in hand, if the ball doesn’t end up on the board, it’s going against your FER. That’s where I’ll leave it, at least for now. The values we attribute to each category will remain a closely guarded secret. If you really need to know, start a league and become a league manager. And if you feel like disputing or commending our efforts, I think there’s a comments section here. Or get at me during your next league night. Dig around and find my email. I’m confident enough in this system to defend it to the end. Halo: A bocce ball that is thrown to within an inch or so of the pallino. How do I start a league in Florida? Why wouldn’t you just email or talk to me? You’re a loon.